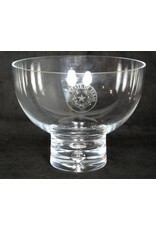 Texas bowl. 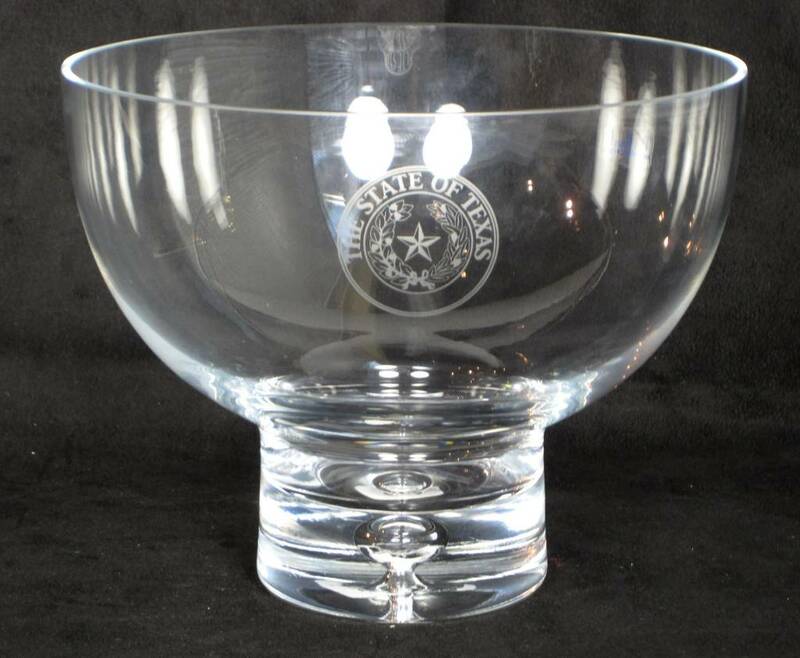 Crystal, Galaxy pedestal bowl etched with the Texas State Seal. Size Approx: 8.5" across x 6.5"h. May be personalized. For more details, please call 512-476-1181.